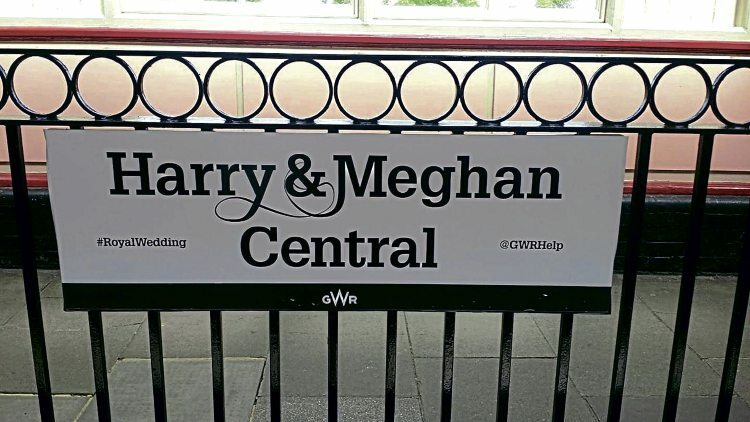 South Western Railway (SWR) and Great Western Railway (GWR) got into the Royal Wedding spirit on May 19, providing additional services for well-wishers heading to and from Windsor. Around 45,000 passenger journeys were made on SWR services to Windsor & Eton Riverside, which were doubled to four direct, 10-car trains per hour from London Waterloo. Extra staff and volunteers were on hand at key stations on the route to keep passengers moving. Meanwhile, over on GWR’s, Slough-Windsor Central (renamed ‘Harry & Meghan Central’ for the day) branch, special crowd control measures had to be put in place at each end of the line, and the maximum possible service of four-car DMUs every 20 minutes ran all day. More than 200 additional GWR staff were deployed across the network to keep people moving. GWR also took the opportunity to decorate one of its Class 165 DMUs with ‘Just Married’ decals to celebrate the big day.